In a perfect world, we’d all get flawless pics on the first snap, but we also know that pretty much never happens. Photobombers, stains, cars...you name it! There’s almost always something you wish you could just erase from a pic. Good thing it's easy to remove an object from your photo (and it's one of the most popular edit requests) with Mendr. From Home, select the pic you want to edit, then select Tailor. Draw on your photo to show the editor what what you'd like, then choose Comment to explain in more detail. From the Receipt icon you can view your full order. From there choose Mend It to send to your editors. You'll receive a notification when an editor starts working on your photo, plus a notification when the edited pic is ready for review. See something in your edited pic you want to revise? Pssst. 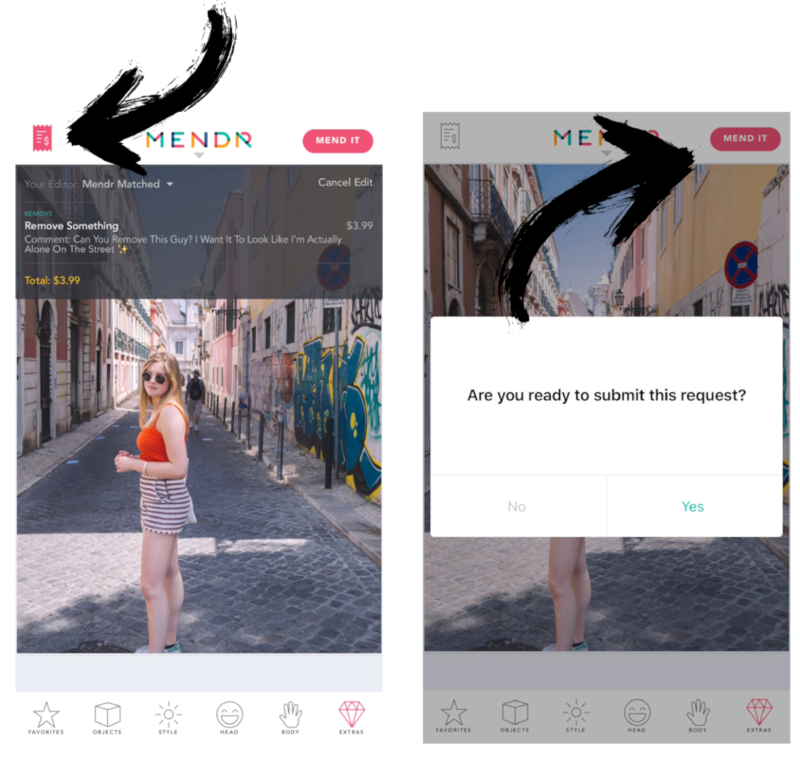 If you don't have the Mendr app already, you can download it here.